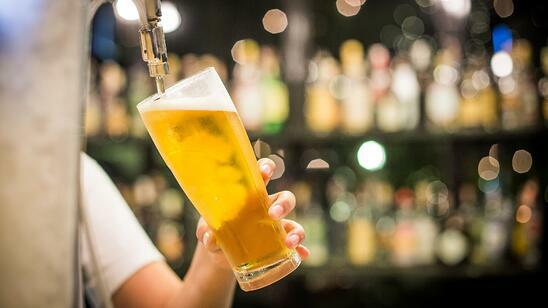 Most people don't stop to think about what goes into the beer they drink. However, brewers do. 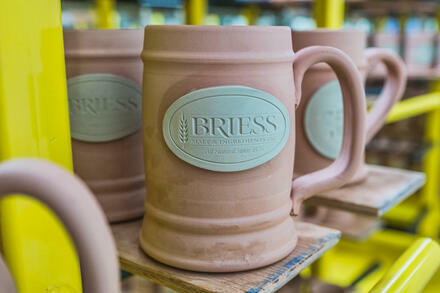 Brewers have to be rightfully finicky about everything from the custom stoneware steins they use to the barley that goes into their beer, which is probably why the vast majority of American breweries work with Briess Malt & Ingredients Co. If you've ever visited a brewery anywhere in the United States, you've likely encountered Briess Malt & Ingredients Co.'s products. They provide the malted barley for thousands of craft, large-scale and home-brewers all across the United States and have earned a reputation for their quality domestic product among brewers and food producers alike. Now based in Chilton, Wis., Briess Malt & Ingredients Co. was established in 1876 and started working with the local Chilton Malthouse early into its history. The company's founder, Ignatius Briess, began malting barley grown in the Moravia region of what is now the Czech Republic. His malting tradition made its way across the Atlantic, where it continued in the hands of future generations. Briess barley is grown in northwestern Wyoming, southern Montana, North Dakota and Minnesota for a truly all-American product. After being harvested, it's brought to Briess' facilities in Wisconsin and processed for use in breweries and beyond. Quality is a keystone for Briess, incorporating various checkpoints and validations for quality control throughout the malting process to ensure high standards. According to Briess Manager of Employee Communications and Training Mercedes Hemmer, these checks and balances ensure that their product is safe, natural, clean and environmentally friendly. In the past, the company has even won the Wisconsin Business Friend of the Environment Award-Medium Size for its efforts. The company is vertically integrated and has a strong relationship with 350 malting barley growers across the western and Midwestern region. These growers supply grain for brewers across the United States, as well as to the food and pet food industries. "We really focus on providing natural ingredients that are healthy with the option of being organic and providing wholesome, handcrafted ingredients, whether it's in the food or handcrafted brew segments," Hemmer said. Briess has multiple roasted barley and specialty malts available for its brewers, each of which results in different colors, flavors and aromas in their beer and reflects on the individual brewery's character. The spectrum runs from lighter, kilned base malts that are milder and more often used for Pilsners to dark roasted malts used in porters and stouts. For these and every medium-roasted malt in between, Hemmer said the process is all natural and results in noticeable flavor, aroma and color differences between each type of malt. With more and more beer drinkers becoming conscious of what goes into their beer and seeking more exciting and unique flavors and aromas, Briess is helping its brewers get ahead of the curve through quality and innovation. Brewers who are looking to craft and sell organic products will also find a wide selection of options among Briess malts. Those catering to patrons with gluten sensitivity can also find gluten-free syrups to produce beer that closely mimics the flavor of malted barley (and are just as enjoyable as the real thing). While Briess sells its malt and barley products in bulk quantities to some of its largest customers, Hemmer reports that Briess embraces the craft beer revolution and became known for their concept of small packing, becoming the first maltster to offer 50-lbs bags of malt. Today, Briess offers a variety of packaging sizes and options, from bulk silo programs to one-pound pouches available for homebrewers and every size in between. "No matter how big or small the brewery is, we're able to help them," Hemmer said. Aside from supplying huge quantities of malts, roasted barley, and other ingredients to its beverage and food customers, Briess goes a step further in supporting their beer-producing customers across the world by using its dedicated team of microbiologists, food scientists and sensory experts to help them get the most out of their product. These experts work with Briess' division managers to help each and every customer grow their business. For brewing customers, recipe formulation is one of the many ways Briess supports their customers. On their website are scores of recipes that their customers can use to get started on their own formulas for success. However, their division managers also work with breweries to develop brew recipes unique to that brewery. Even after the recipes are developed and brewers are on their way to producing your own craft beer, Briess also offers brewery troubleshooting when things don't go according to plan. In the event that something was to go wrong at your brewery, your division manager can help diagnose what's wrong and get you back on your feet before long. Plus, according to Hemmer, the combination of scalability and multiple processing capabilities offers flexibility for small- to large-batch production, and unparalleled custom product development and production. Beyond processing, Briess operations include flexible blending and small-scale packaging equipment. They also offer toll processing, toll malting and other toll processing services. With 142 years of malting experience, the future is looking bright for Briess and the breweries and distilleries it supplies. In 2015, the company commissioned a third malthouse, doubling its malting capacity, along with increased capabilities for its barley storage and roasting processes. Briess Malt & Ingredient Co. has even started to grow into international markets, including countries like Taiwan. 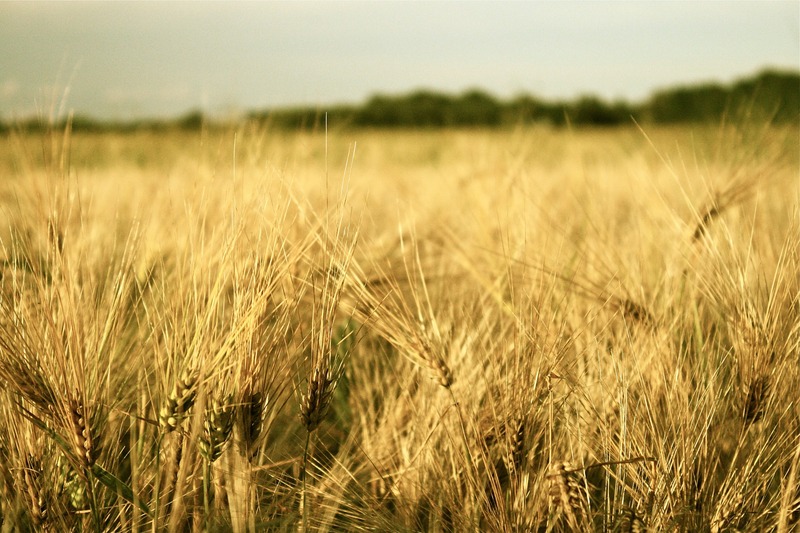 However, with a laser-targeted focus on the quality of its American-made ingredients, brewers in the United States and beyond will have access to consistent supplies of barley and malt products for years to come. 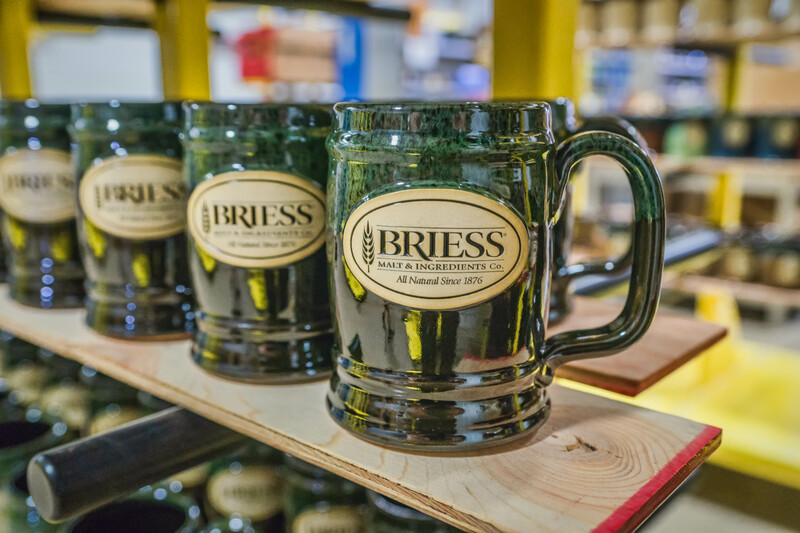 Whether you're looking for malt and other ingredients for your beer or spirits or you need mugs or steins for your mug club, Briess and Sunset Hill Stoneware have plenty of American-made supplies for your brewery.